We consider homogeneous shear-stratified turbulence in a rotating frame, that exhibits complex nonlinear dynamics. Since the analysis of relative orientation between coupled fluctuating fields helps us to understand turbulence dynamics, we focus on the alignment properties of both the velocity and gravity fields with the potential vorticity gradient. With the help of statistical mechanics, we define a vector field which plays a role in the analogous so-called cross-helicity in magnetohydrodynamics. 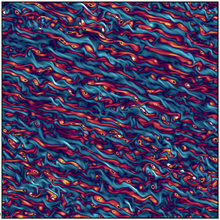 High-resolution direct numerical simulations of developed homogeneous baroclinic turbulence are performed, and a detailed analysis of probability density functions for cross-helicity is provided. A net preference for positive cross-helicity is shown to be related to a new alignment mechanism. We argue that the analysis of cross-helicity is crucial for understanding the dynamics of buoyancy driven flows.